August 3 2016, 5:10 p.m.
With advice from Republican power lawyer Charlie Spies, APIC, a company owned by Chinese nationals, donated $1.3 million to Jeb Bush’s Super PAC. But as unlimited contributions have coursed through the election system, no one has been able to point to a specific example of foreign money flowing into U.S. presidential politics as a result of the Supreme Court’s decision. APIC had, quite literally, gotten the memo. Wilson Chen, Gary Locke, and Gordon Tang. The company, which invests in real estate and industries in Asia and the U.S., is well-connected across the American political scene. Neil Bush, the brother of both Jeb and George W. Bush, is a member of APIC’s board. 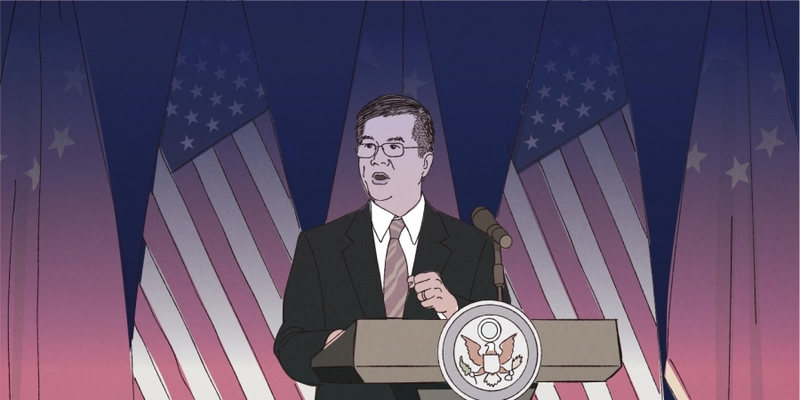 Gary Locke, U.S. ambassador to China from 2011 to 2014 and previously secretary of commerce, serves as senior adviser to APIC. In October 2013, while Locke was still ambassador, APIC co-owner Huaidan Chen purchased Locke’s Washington, D.C.-area home from him for $1.68 million. In an interview, Wilson Chen, Huaidan Chen’s brother and president of APIC in 2015, compared APIC’s political donations to the Chinese tradition of gong cha, or paying tribute to the emperor. Chen repeatedly emphasized that APIC “did not want to do anything illegal” and made the donations with the guidance of the Spies memo and the company’s own in-house lawyer. It’s not clear, incidentally, that APIC followed Spies’s memo to the letter. Spies warned that foreign owners could not be involved in the decision-making process for political contributions by their U.S.-based companies. But based on statements Gordon Tang and Wilson Chen both made to The Intercept, Tang may have crossed this line by authorizing the Right to Rise USA donation from APIC. Reached for comment by phone, Spies stated that the memo had been prepared “to ensure compliance with the law,” but he declined to say anything further about the circumstances leading to its writing or about APIC itself. When asked whether Obama’s remarks in 2010 were vindicated by his memo, Spies grew agitated. After a short discussion, he said, “I don’t think there’s any point in our continuing this conversation,” and then abruptly hung up the phone. The story of APIC captures the bizarre reality of the U.S. political system: George H.W. Bush and George W. Bush between them appointed three of the five members of the Supreme Court’s Citizens United majority; this majority opened up a loophole allowing foreign money to flow into U.S. elections; and this loophole was used to grab foreign money in an attempt to make a third Bush president. Whether this loophole will continue to exist may largely depend on the outcome of the 2016 presidential race. The Democratic Party has lambasted the Supreme Court’s decision in its campaign rhetoric, and Hillary Clinton has promised to call for a constitutional amendment to overturn Citizens United in her first 30 days as president. Gordon Tang and Huaidan Chen, now in their late 40s, have over the past several decades built a business empire largely based in Asia but with some branches in the United States. The couple are the majority shareholders of SingHaiyi, a publicly traded Singapore-based corporation with a market value of about $250 million. SingHaiyi describes itself as “a diversified real estate company” owning condominiums and commercial property in Singapore, Malaysia, and the U.S. When contacted by Elaine Yu, a Hong Kong-based journalist and contributor to this series, Tang offered to give her 200,000 dollars in an unspecified currency (Hong Kong and Singapore both denominate their money in dollars) if The Intercept did not reference unverified claims on Chinese-language websites that he had been accused of criminal activity. Now headquartered in San Francisco, APIC calls itself a “diversified international investment holding company.” It currently owns, among other properties, five hotels and several residential developments in San Francisco, and three luxury hotels in China. SingHaiyi has described APIC as its “sister firm” in news releases, a term that means they have the same ultimate owners. Neil Bush as shown in a screen grab from SingHaiyi’s 2015 annual report. Neil Bush is a member of the board of APIC and in 2013 joined SingHaiyi’s board as a nonexecutive chairman. Bush owns a small percentage of the Singapore company. “We are very lucky to know them,” Wilson Chen said of the Bush family. “We talk to them as friends.” He noted that the Bushes have always been kind to China and said that “because of our generosity,” he was invited to attend a Right to Rise USA fundraising event hosted by Jeb Bush in April 2015 at the Mandarin Oriental, a luxury hotel in San Francisco. APIC, which was initially incorporated in Oregon, made contributions between 2010 and 2014 to state and local Oregon politicians, mostly Democrats, totaling about $25,000. The earlier donations include $9,500 given to John Kitzhaber, a Democrat who was elected governor of Oregon in 2010 and 2014 and resigned last year in an unrelated ethics scandal. Wilson Chen, who unlike his sister and brother-in-law is a U.S. citizen, stated that APIC has never asked for anything specific in return for its money. However, he said, the connections between the company and prominent U.S. politicians gave those involved with APIC stature in Asia. Former Florida governor and Republican presidential candidate Jeb Bush attends a fundraising event at the Jorge Mas Canosa Youth Center on March 18, 2015, in Sweetwater, Fla. In Politico’s 2015 list of the 50 most influential people in U.S. politics, Charlie Spies is tied for second place with David Bossie, president of the organization Citizens United, and behind only Supreme Court Justice Anthony Kennedy, author of the Citizens United majority opinion. Before Spies was general counsel for Right to Rise USA, he co-founded Restore Our Future, the main Super PAC supporting Mitt Romney’s 2012 presidential campaign. Spies was also chief financial officer and counsel for Romney’s first presidential run in 2008. For instance, Spies advised Jeb Bush to launch Right to Rise USA months before the official start of his presidential campaign in June 2015. This allowed Bush to spend that time directly raising unlimited contributions for his Super PAC, something that would become illegal once Bush was a declared candidate. APIC’s initial donation to Right to Rise USA was made during this period. Charlie Spies’s Super PAC memo is in some ways a peculiar legal document. It is from Spies, to his client Right to Rise USA, with the subject “Contributions by Domestic Subsidiaries of Foreign Corporations to Federal Super PACs.” But it is not marked as being a confidential communication covered by attorney-client privilege. Moreover, says Ryan at the Campaign Legal Center, the legal questions it addresses generally do not arise “in the abstract. … Instead, such memos are typically sought when a client has a particular course of action in mind.” Taken together, this suggests the memo was created to be given to potential donors, like APIC. The memo begins by noting that U.S. law strictly forbids any “foreign national” from “contributing, donating, or spending funds in connection with any elections in the United States.” The term “foreign national” includes foreign individuals, corporations, and governments. By that standard, it doesn’t matter that APIC is owned by Chinese citizens. It’s incorporated in California and therefore counts as an American company that can spend money in U.S. elections just like any other. And that means it can spend a lot. By striking down prohibitions on corporations and unions engaging in “independent expenditures” on elections, the Supreme Court declared in Citizens United that they can spend as much of their money on engaging in political speech as they want — as long as it is not explicitly coordinated with federal candidates. But as it has turned out, despite the court’s stated intentions, Super PACs like Right to Rise USA are, in all but name, arms of presidential or congressional campaigns. There are, however, a few hoops foreign-owned corporations in particular need to jump through. Spies’s memo explains how to do the jumping. In theory, this guarantees the corporation must be a functioning, profitable U.S. business and not simply a shell corporation passing money through into the American political process. APIC was presumably able to pass that test — its U.S. holdings are large enough that they likely generate considerably more in U.S. profits than the $1.3 million it gave the Super PAC. But as the enormous amount of corporate tax avoidance demonstrates, multinational corporations can transfer money to subsidiaries in ways that appear legitimate but are not. “It’s often hard to prove those type of things,” said Larry Noble, general counsel of the Campaign Legal Center and previously longtime general counsel of the FEC. Moreover, money is fungible. 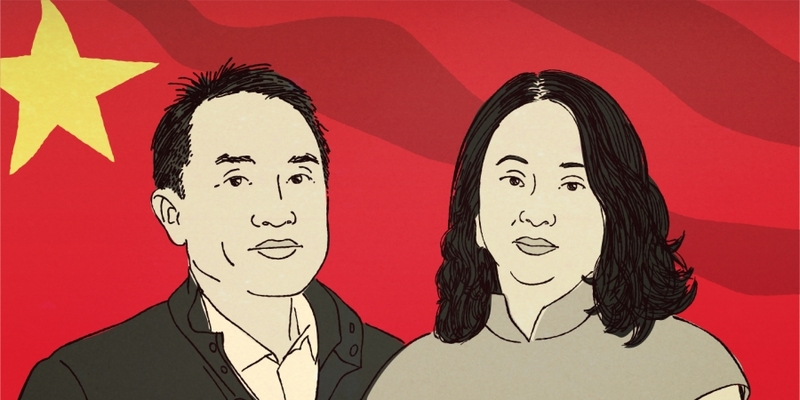 The donations to Right to Rise USA made Tang and Chen $1.3 million poorer, whether the money officially came out of their APIC pocket in the U.S. or their pockets in Singapore. Another hoop: FEC regulations state that foreign nationals may not “directly or indirectly participate in the decision-making process” on political donations. As Spies writes, FEC advisory opinions have held that foreign nationals may decide to create a special segregated account for contributions and set a maximum budget, but that’s it. After that point, all decisions must be “made by a Special Committee comprised solely of U.S. citizens” — including the composition of the committee itself. But that’s hardly enforceable. As Noble points out, it’s “a fiction” that U.S. citizens in that position could ever make truly independent decisions. “Of course the person is going to be aware of what the board wants, what the company wants, and its interests,” he said. In any case, in interviews with The Intercept, both Wilson Chen and Gordon Tang made statements that suggest Tang may have violated the relevant FEC regulations. According to Chen, “I proposed to make a donation to the Republican Party and then let the board of directors approve it before sending the donation.” APIC’s board includes Chen himself and Neil Bush, both U.S. citizens, but also Chinese citizens Tang and Huaidan Chen. So APIC — to its potential detriment — may not have followed Spies’s playbook in every respect. But there’s no question that Spies’s analysis was correct: The Intercept asked numerous lawyers from both parties who specialize in campaign finance law to examine Spies’s reasoning, and all agreed with it. As long as a foreign-owned U.S. corporation follows the rules, it can legally go ahead and give an unlimited amount of money to a Super PAC. While this would likely seem like an alarming conclusion to most Americans, it is the law of the land. Of course, however troubling contributions to the Clinton Foundation by foreign governments may be, such donations do not violate any laws. So there, at least, Spies and Obama find common ground on money in politics: Both believe something can be completely legal yet deeply wrong. The Campaign Legal Center told us it plans to file a complaint with the FEC asking it to open an inquiry into APIC’s contributions, but the reality is that the FEC has largely stopped enforcing even what few campaign finance limits still exist. The FEC has six commissioners, no more than three of whom may come from any one political party. The three current Republican commissioners philosophically object to most restrictions on political spending, which has led to frequent 3-3 deadlocks on important votes, including ones on whether to investigate possible foreign influence on U.S. elections. There is just one known inquiry in the six years since Citizens United into a situation similar to that of APIC, but it was conducted by the Justice Department, not the FEC: A Mexican businessman was charged in 2014 with funneling $100,000 to a Super PAC he created via a U.S. shell corporation in an attempt to elect Republican Bonnie Dumanis as mayor of San Diego. 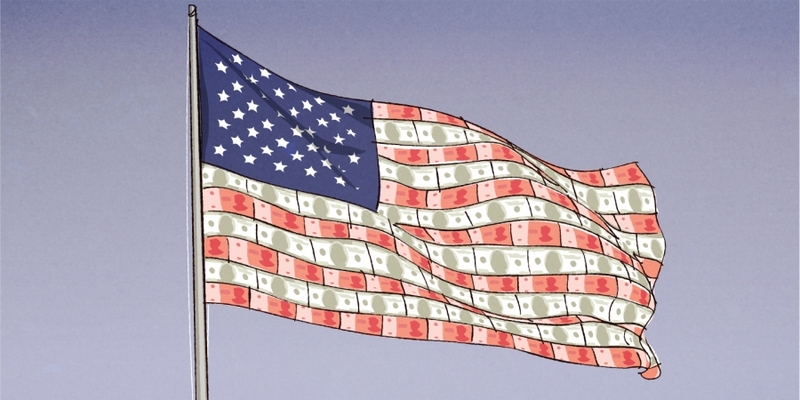 If Congress wanted to do something about foreign money in elections, it could have passed the DISCLOSE Act of 2010, which would have prohibited corporations with greater than 20 percent foreign ownership from putting money into the U.S. political process. But the act failed when first introduced, even with Democrats controlling the House and Senate. And this foreign ownership provision was stripped out of the most recent version of the bill. And passage of such a law might make little difference given the partisan gridlock at the FEC; the law hardly matters if it isn’t enforced. Moreover, foreign ownership of a corporation can easily be disguised. As Donald Tobin, dean of the University of Maryland Law School, noted at a June 23 FEC event on the subject of foreign money in elections, “A foreign individual could create a Wyoming corporation. The Wyoming corporation could be the sole owner of a Delaware corporation that could own a Nevada corporation. The Nevada corporation could then engage in independent expenditures on behalf of a candidate. … It’d be incredibly difficult for any government entity, including the FEC, to have any idea that the funds in question” ultimately came from a foreign national. So are there many more APICs, quietly putting their thumbs on the scale of elections for president, Congress, and state houses across the country? The reality is that America’s system of big-money politics exists in such darkness that it’s impossible to know for certain. And this door to foreign influence will likely remain open unless Citizens United is overturned by a new Supreme Court or invalidated by a constitutional amendment. Additional Reporting: Elaine Yu and Sheelagh McNeill. Research: John Thomason.